Usually, I don’t follow any recipe. However, I follow my mom & better half, when I feel like cooking. I will listen to their instructions, but I will add excessive ingredients to the dish, which turned out really well. I am lazy, when it comes to cooking. But if I feel like cooking, I will go and get my stuff and start my adventure. Well, recently I cooked the Peas Pulao using Microwave, though I had just one hour time. That Peas Pulao came out really well! 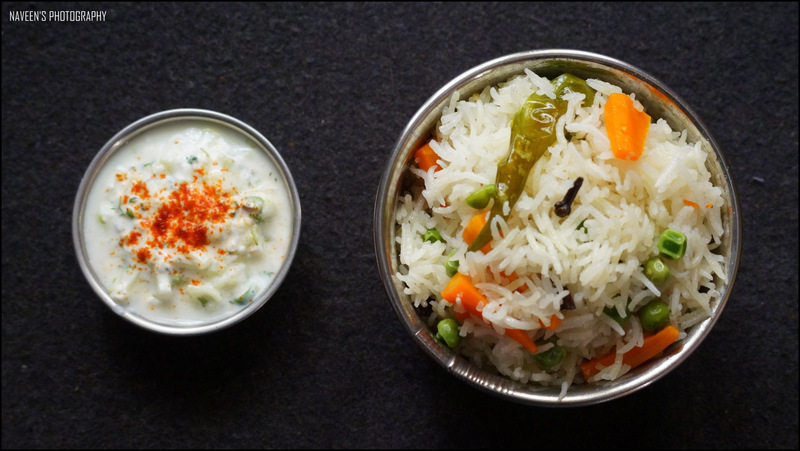 I just took 22 minutes to cook this Simple Mild Spiced Peas Pulao in Microwave Oven! Put Ghee & Oil in a Casserole along with Cloves, Cinnamon, Chilies, Chopped onions and Carrots – Microwave for 90 Seconds. Add Soaked Rice, Water (2 Cups or 450ml) along with Green Peas & Salt to the Casserole.